Venezuela's opposition leader is optimistic that change is coming to the country soon. In a sit-down interview with Reuters --Juan Guaido said President Nicolas Maduro's administration has reached its final stage - adding that his allies have spoken with high-ranking military members about changing sides. 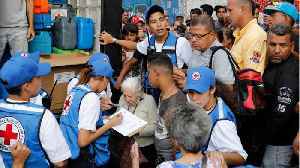 Venezuela plunged into a deep political crisis in January, when Guaido invoked the constitution to assume an interim presidency, arguing Maduro's May 2018 re-election was a sham. 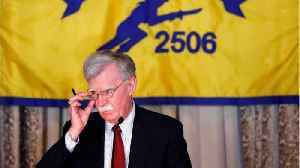 Since then -foreign governments have backed Guaido- as the South American country's rightful leader NATSOT: U.S. VICE PRESIDENT MIKE PENCE SAYING: "We are with you 100%." 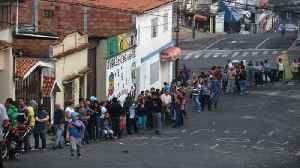 Guaido who has been holding rallies across the country told Reuters Venezuelans- who are struggling to make ends meet amid an economic crisis- are fed up with the socialist government...saying "The citizens do not like them, they reject them, they hate them, because that is what they have received from them: hate." 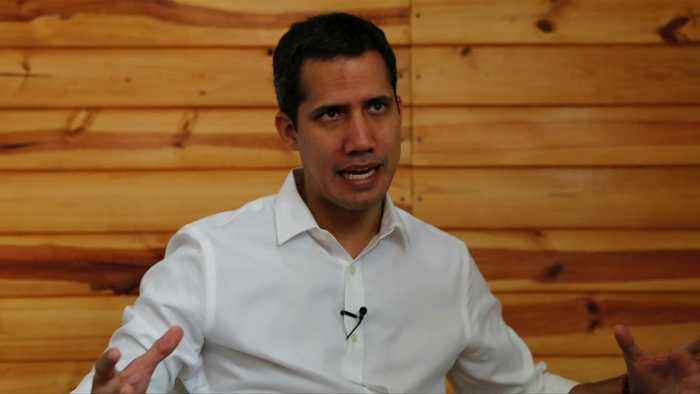 Maduro claims Guaido is a puppet of the U.S. and has threatened to imprison him. Venezuela's Supreme Court recently initiated an investigation of Guaido on the grounds that he had helped foreign countries interfere in internal matters. 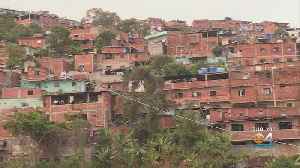 And during a prolonged blackout this month, the chief prosecutor asked that Guaido be probed for alleged involvement in "sabotage" of the country's electrical system. Guaido's chief of staff was also detained and his house ransacked in a recent raid. 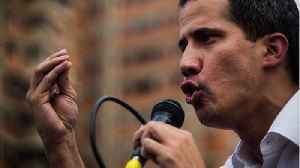 Guaido telling Reuters "The risk of participating in politics in Venezuela is your life, your freedom, and the persecution of those closest to you,"
Venezuela’s economic and humanitarian crisis continues — as the country’s people suffer from food shortages, power outages and political unrest. 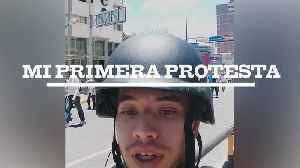 Nos metemos de lleno en una protesta contra Nicolás Maduro en Venezuela. 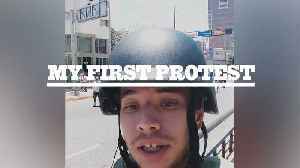 Muy pocas son las imágenes que se ven en el mundo de estas protestas pero nos gracias a Daniel lo podemos vivir en primera..
We asked someone to make their voice heard at their first protest and show the world what they’re seeing using a GoPro. 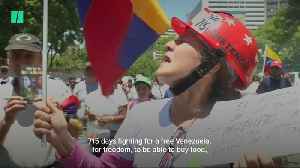 Here’s what it’s like at a protest for people demanding Nicolás Maduro is..